EL PAPEL DEL PADRE ES ALGO DADO POR DIOS, DIOS SIEMPRE HA TENIDO EN MENTE QUE EN UNA FAMILIA EXISTA UN PADRE Y UNA MADRE. ES TAN BASICO Y TAN BENDECIDO EL SER PAPA QUE DIOS SIEMPRE SE COMPARA CON UN PADRE EN SU MANERA DE ACTUAR, EN SU MANERA DE HACER LAS COSAS PARA BENDECIR, PROTEGER, Y DISCIPLINAR AL HOMBRE. NINGUN JOVEN PUEDE COMPRENDER A PAPA HASTA QUE NOS COMVERTIMOS EN PADRES, ENTONCES VEMOS LAS COSAS DESDE OTRA PERSPECTIVA. UN PADRE ES EL MEJOR AMIGO, ES EL PROVEEDOR DE LA CASA, ES UN MAESTRO, AUNQUE MUCHOS DE NOSOTROS NO CUMPLIMOS NUESTRO PAPEL PERO ES UNA BENDCION SER PAPA. PERO HAY COSAS QUE TODO PADRE NO DEBE OLVIDAR EN SU VIDA, PUES SI LAS OLVIDAMOS CUANDO NOS DEMOS CUENTA DE NUESTRO ERRRO PODRIA SER MUY TARDE. a) CUANDO ESTAMOS JOVENES Y FUERTES PENSAMOS QUE NUNCA LLEGAREMOS A VIEJOS, PENSAMOS QUE PODEMOS HUMILLAR, GOLPEAR, MENOSPRECIAR A LAS PERSONAS QUE AMAMOS Y QUE NO NECESITAMOS DE ELLAS. c) VIVAMOS DE TAL MANERA QUE CUANDO VENGAN LOS DIAS MALOS PODAMOS COSECHAR EL AMOR QUE SEMBRAMOS, LA DEDICACION QUE TUBIMOS, QUE NOS DAREMOS CUENTA QUE TAN IMPORTANTE FUE LO QUE HICIMOS POR NUESTROS HIJOS. a) SI NOSOTROS SUFRIMOS EN NUETRA INFANCIA ¿Qué CULPA TIENEN NUESTROS HIJOS?? b) NO VIVIMOS EN UN CUARTEL DONDE LOS DE RANGO SUPERIOR SE DESQUITAN LO QUE SUS ANTERIORES COMPAÑEROS LES HICIERON, SOMO UNA FAMILIA DE HIJOS DE DIOS. d) SI SUFRIMOS CUANDO ERAMOS NIÑOS CON PADRES DIFICILES QUE NOS ABANDONARON, QUE NOS HUMILLARON, QUE NOS GOLPEARON, TENEMOS LA OPORTUNIDAD DE DARLES A ELLOS ALGO QUE NUNCA TUBIMOS NOSOTROS : AMOR, APOYO, COMPRENSION. a) NUESTROS HIJOS NO SOLO NECESITAN SER RECONOCIDOS COMO NUESTROS HIJOS, NECESITAN COMER TAMBIEN, NECESITAN EDUCACION, NECESITAN ROPA QUE USAR, SER PADRE ES MAS QUE DAR UN APELLIDO ES PROVEER LO NECESARIO PARA NUESTROS HIJOS. b) PRIMERAMENTE LOS DE NUESTRO HOGAR, NO PODEMOS PERMITIR QUE NO TENGAN LOS NECESARIOS, PERO TAMBIEN LOS QUE NO VIVEN CON NOSOTROS, PERO SON IGUALMENTE NUESTROS HIJOS. c) SI FUIMOS UNA REGADERA REGANDO HIJOS TENEMOS QUE SER RESPONSABLES CON ELLOS, NO SE TRATA DE LUJOS PERO DENTRO DE NUESTRAS POSIBILIDADES TENEMOS QUE PROCURAR QUE NADA LES FALTE. d) NO PUEDO JACTARME DE GRAN CRISTIANO SI NO CUMPLO CON MIS HIJOS, ESTARIA NEGANDO LA FE, PUES COMO ¿¿PUEDO AYUDAR A MI PROJIMO SI NO ME IMPORTA MI PROPIA SANGRE?? e) NUESTROS HIJOS NO COMEN DE UN APELLIDO, NECESITAN QUE SU PADRE CUIDE DE ELLOS. b) QUE TIPO DE PERSONAS ESTAREMOS FORJANDO POR MEDIO DE NUESTRO TESTIMONIO?? c) NOS VEN LEYENDO LA BIBLIA O CON UNA CERVEZA EN LA MANO?? NOS VEN ORANDO O FUMANDO?? 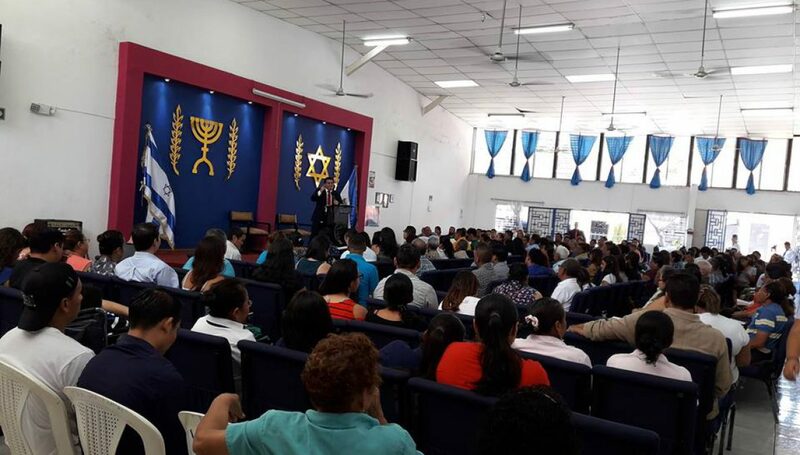 NOS VEN SIRVIENDO EN LA IGLESIA O SIRVIENDOLE TRAGOS A LOS AMIGOS?? a) A PESAR DE TODOS LOS ERRORES QUE PUDIMOS HABER COMETIDO NO ES TARDE PARA PEDIR PERDON, BUSQUEMOS LA OPORTUNIDAD PARA QUE LLEGUE EL PERDON A NUESTRA FAMILIA. b) HJOS: NO PUEDEN VIVIR BAJO LA BENDICION DE DIOS SI NO PUEDEN PERDONAR A SUS PADRES, PERDONA A TU PADRE, PERDONALO HOY!! c) SI HEMOS COMETIDO GRANDES ERRORES NO COMETAMOS UNO MAS GRANDE, NO BUSCAR EL PERDON, SI LO HACEMOS DIOS NOS AYUDARA A SANAR LAS HERIDAS DEL CORAZON. RECIBELO HOY EN TU CORAZON!!! !